Nevertheless, the little girl brought the gift box to her mother the next morning and then said, "This is for you, Momma." "Don't you know, young lady, when you give someone a present there's supposed to be something inside the package?" She had tears in her eyes and said, "Oh, Momma, it's not empty! I blew kisses into it until it was full." From Joseph Ratzinger's "Jesus of Nazareth"
"A Historically Honest and Convincing Figure"
VATICAN CITY, NOV. 23, 2006 (Zenit.org).- Here is a translation of excerpts from the Preface of the first volume of the book "Jesus of Nazareth," which Joseph Ratzinger-Benedict XVI will publish next spring. The excerpts were made available by Rizzoli, the publishing house that has been given the international rights. I have come to the book on Jesus, the first part of which I now present, following a long interior journey. In the period of my youth -- the thirties and forties -- a series of fascinating books were published on Jesus. I remember the name of some of the authors: Karl Adam, Romano Guardini, Franz Michel Willam, Giovanni Papini, Jean Daniel-Rops. In all these books, the image of Jesus Christ was delineated from the Gospels: how he lived on earth and how, despite his being fully man, at the same time he led men to God, with whom, as Son, he was but one. Thus, through the man Jesus, God was made visible and from God the image of the just man could be seen. Beginning in the fifties, the situation changed. The split between the "historical Jesus" and the "Christ of faith" became ever greater: One was rapidly removed from the other. However, what meaning could faith in Jesus Christ have, in Jesus the Son of the living God, if the man Jesus was so different from the way he was presented by the evangelists and the way he is proclaimed by the Church from the Gospels? Progress in historical-critical research led to ever more subtle distinctions between the different strata of tradition. In the wake of this research, the figure of Jesus, on which faith leans, became ever more uncertain, it took on increasingly less defined features. 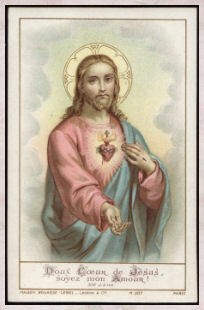 At the same time, reconstructions of this Jesus, who should be sought after the traditions of the evangelists and their sources, became ever more contradictory: from the revolutionary enemy of the Romans who opposed the established power and naturally failed, to the gentle moralist who allowed everything and inexplicably ended up by causing his own ruin. Whoever reads a few of these reconstructions can see immediately that they are more photographs of the authors and their ideals than a real questioning of an image that has become confused. Meanwhile, mistrust was growing toward these images of Jesus, and the figure itself of Jesus was ever more removed from us. I have felt the need to give readers these indications of a methodological character so that they can determine the path of my interpretation of the figure of Jesus in the New Testament. With reference to my interpretation of Jesus, this means first of all that I trust the Gospels. Of course I take as a given all that the Council and modern exegesis say about the literary genres, the intention of their affirmations, on the communal context of the Gospels and its words in this living context. Accepting all this in the measure that was possible to me, I wished to present the Jesus of the Gospels as the true Jesus, as the "historical Jesus" in the true sense of the expression. I am convinced, and I hope the reader will also realize, that this figure is far more logical and, from the historical point of view, also more comprehensible than the reconstructions we have had to deal with in the last decades. I believe, in fact, that this Jesus -- the one of the Gospels -- is a historically honest and convincing figure. The Crucifixion and its efficacy can only be explained if something extraordinary happened, if Jesus' figure and words radically exceeded all the hopes and expectations of the age. Approximately twenty years after Jesus' death, we find fully displayed in the great hymn to Christ that is the Letter to the Philippians (2:6-8) a Christology which says that Jesus was equal to God but that he stripped himself, became man, humbled himself unto death on the cross and that to him is owed the homage of creation, the adoration that in the prophet Isaiah (45:23) God proclaimed is owed only to Him. With good judgment, critical research asks the question: What happened in the twenty years after Jesus' Crucifixion? How was this Christology arrived at? The action of anonymous community formations, of which attempts are made to find exponents, in fact does not explain anything. How would it be possible for groups of unknowns to be so creative, so convincing to the point of imposing themselves in this way? Is it not more logical, also from the historical point of view, that greatness be found in the origin and that the figure of Jesus break all available categories and thus be understood only from the mystery of God? Of course, to believe that though being man He "was" God and to make this known shrouding it in parables and in an ever clearer way, goes beyond the possibilities of the historical method. On the contrary, if from this conviction of faith the texts are read with the historical method and the opening is greater, the texts open to reveal a path and a figure that are worthy of faith. Also clarified then is the struggle at other levels present in the writings of the New Testament around the figure of Jesus and despite all the differences, one comes to profound agreement with these writings. Of course with this vision of the figure of Jesus I go beyond what, for example, Schnackenburg says in representation of the greater part of contemporary exegesis. I hope, on the contrary, that the reader will understand that this book has not been written against modern exegesis, but with great recognition of all that it continues to give us. It has made us aware of a great quantity of sources and concepts through which the figure of Jesus can become present with a vivacity and profundity that only a few decades ago we could not even imagine. I have attempted to go beyond the mere historical-critical interpretation applying new methodological criteria, which allows us to make a properly theological interpretation of the Bible and that naturally requires faith, without by so doing wanting in any way to renounce historical seriousness. I do not think it is necessary to say expressly that this book is not at all a magisterial act, but the expression of my personal seeking of the "Lord's face" (Psalm 27:8). Therefore, every one has the liberty to contradict me. I only ask from women and men readers the anticipation of sympathy without which there is no possible understanding. As I already mentioned at the beginning of this Preface, the interior journey to this book has been long. I was able to begin work on it during my vacation of 2003. In August 2004, Chapters 1 to 4 took their final form. Following my election to the episcopal See of Rome I have used all the free moments I have had to carry on with it. Given that I do not know how much time and how much strength will still be given to me, I have decided to publish now as the first part of the book the first ten chapters that extend from the Baptism in the Jordan to Peter's confession and the Transfiguration. Note: I usually check out a site's links to see if they list sites that would not be approved by the Church. This one does not seem to have a links page. If anyone finds this site to be objectionable, such as belonging to ultra traditional Catholics, please let me know. The practice of recommending to God the souls in Purgatory, that He might mitigate the great pains which they suffer, and that He may soon bring them to His glory, is most pleasing to the Lord and most profitable to us. For these blessed souls are His eternal spouses, and most grateful are they to those who obtain their deliverance from prison, or even a mitigation of their torments. When, therefore, they arrive in Heaven, they will be sure to remember all who have prayed for them. It is a pious belief that God manifests to them our prayers in their behalf, that they may also pray for us. It is true that these blessed souls are not in a state to pray for themselves, because they are atoning for their faults. 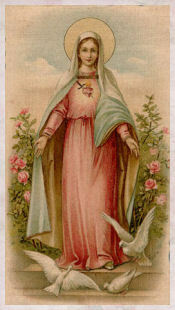 However, because they are very dear to God, they can pray for us, and obtain for us the divine graces. 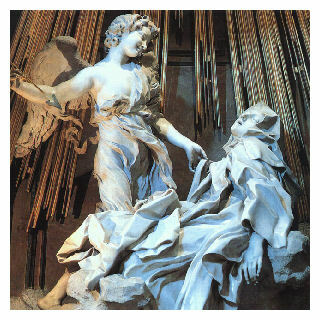 Saint Catherine of Bologna, when she wished to obtain any grace, had recourse to the souls in Purgatory, and her prayers were heard immediately. 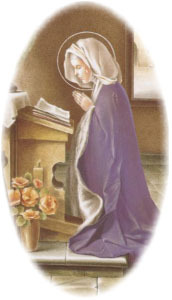 She declared that, by praying to those holy souls, she obtained many favours which she had sought through the intercession of the saints without obtaining them. 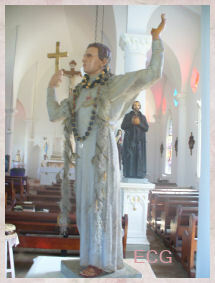 The graces which devout persons are said to have received through these holy souls are innumerable. But, if we wish for the aid of their prayers, it is just, it is even a duty, to relieve them by our suffrages. I say, it is even a duty: for Christian charity commands us to relieve our neighbors who stand in need of our assistance. But who among all our neighbors have so great need of our help as those holy prisoners? They are continually in that fire which torments more severely than any earthly fire. They are deprived of the sight of God, a torment far more excruciating than all other pains. Let us reflect that among these suffering souls are parents, or brothers, or relations and friends, who look to us for succour. and realize in charity a profound exchange of gifts. She picked it up and looked at it before opening, but then she looked at the envelope again. I`m going to be in your neighborhood Saturday afternoon and I'd like to stop by for a visit. Her hands were shaking as she placed the letter on the table. "Why would the Lord want to visit me? I'm nobody special. I don't have anything to offer." With that thought, Ruth remembered her empty kitchen cabinets. She reached for her purse and counted out its contents. Five dollars and forty cents. Well, I can get some bread and cold cuts, at least." She threw on her coat and hurried out the door. grand total twelve cents to last her until Monday. "Hey lady, can you help us,lady?" Ruth had been so absorbed in her dinner plans, she hadn't even noticed two figures huddled in the alleyway. "Look lady, I ain't got a job, ya know, and my wife and I have been living out here on the street, and, well, now it's getting cold and we're getting kinda hungry and, well, if you could help us Lady, we'd really appreciate it." bread, and I'm having an important guest for dinner tonight and I was planning on serving that to Him." The man put his arm around the woman's shoulders, turned and headed back into the alley. The couple stopped and turned as sheran down the alley after them. "Look, why don't you take this food. I'll figure out something else to serve my guest." She handed the man her grocery bag. could see now that she was shivering. "You know, I've got another coat at home. woman's shoulders. Then smiling, she turned and walked back to the street...without her coat and with nothing to serve her guest. "Thank you lady! She fumbled through her purse for the door key. But as she did, she noticed another envelope in her mailbox. "That's odd. The mailman doesn't usually come twice in one day." This is a prayer which I say daily. I hope you will too. A prayer Jesus promised her will release 1,000 souls from Purgatory each time it is said. The letdown the day after Christmas was palpable. The tree seemed naked with no presents underneath it. For the first time, we noticed how dry the needles looked. By New Year’s, the tree came down, and January’s great gloom loomed ahead. After all the hype and all the anticipation, nothing could ever live up to the wish book’s promise. When I had kids of my own, I wanted something different for them. My husband had an answer. "Why don’t we celebrate Christmas liturgically?" Tim asked me. "That’s what we always did in my family." Want to read more? Well Click Here for the entire article. Film "Guadalupe" to Open in U.S.
MEXICO CITY, NOV. 21, 2006 (Zenit.org).- A film on the miracle of Our Lady of Guadalupe and its impact on Mexican life will be released Dec. 8 in the United States. The movie "Guadalupe" is being released in the context of celebrations for the 475th anniversary of the apparitions to St. Juan Diego at Tepeyac. Director Santiago Parra, a native of Ecuador, filmed scenes of the movie in Europe and the Americas. The film was produced by the company Dos Corazones (Two Hearts). Parra said the film tries to capture the Guadalupan fervor of Mexico by a foreign director who is able to see profoundly what many Mexicans do not see. His team and cast members were advised by the Higher Institute of Guadalupan Studies. The world premiere will take place in 150 cinemas of Mexico on Nov. 30. The film's official Web page is Guadalupe. Mahalo to Sue, who shares the best lessons with me. A young man had been to a midweek evening Mass. The Pastor had spoken during his homily about listening to God and obeying the Lord's voice. The young man couldn't help but wonder, "Does God still speak to people?" After the Mass, he went out with some friends for coffee and pie and they discussed the message. Several different ones talked about how God had led them in different ways. It was about ten o'clock when the young man started driving home. Sitting in his car, he just began to pray, "God...If you still speak to people speak to me. I will listen. I will do my best to obey." As he drove down the main street of his town, he had the strangest thought to stop and buy a gallon of milk. He shook his head and said out loud, "God is that you?" He didn't get a reply and started on toward home. But again, the thought, buy a gallon of milk. The young man thought about Samuel and how he didn't recognize the voice of God, and how little Samuel ran to Eli. "Okay, God, in case that is you, I will buy the milk." It didn't seem like too hard a test of obedience. He could always use the milk. He stopped and purchased the gallon of milk and started off toward home. As he passed Seventh Street, he again felt the urge, "Turn down that street." This is crazy he thought and drove on past the intersection. Again, he felt that he should turn down Seventh Street. At the next intersection, he turned back and headed down Seventh. Half jokingly, he said out loud, "Okay, God, I will." He drove several blocks, when suddenly, he felt like he should stop. He pulled over to the curb and looked around. He was in a semi-commercial area of town. It wasn't the best but it wasn't the worst of neighborhoods either. The businesses were closed and most of the houses looked dark like the people were already in bed. Again, he sensed something, "Go and give the milk to the people in the house across the street." The young man looked at the house. It was dark and it looked like the people were either gone or they were already asleep. He started to open the door and then sat back in the car seat. "Lord, this is insane. Those people are asleep and if I wake them up, they are going to be mad and I will look stupid." Again, he felt like he should go and give the milk. Finally, he opened the door. "Okay God, if this is you, I will go to the door and I will give them the milk. If you want me to look like a crazy person, okay. I want to be obedient. I guess that will count for something but if they don't answer right away, I am out of here. He walked across the street and rang the bell. He could hear some noise inside. A man's voice yelled out, "Who is it? What do you want?" Then the door opened before the young man could get away. The man was standing there in his jeans and tee-shirt. He looked like he just got out of bed. He had a strange look on his face and he didn't seem too happy to have some stranger standing on his doorstep. "What is it?" The young man thrust out the gallon of milk. "Here I brought this to you." The man took the milk and rushed down a hallway, speaking loudly in Spanish. Then from down the hall came a woman carrying the milk toward the kitchen. The man was following her holding a baby. The baby was crying. The man had tears streaming down his face. The man began speaking and half-crying, "We were just praying. We had some big bills this month and we ran out of money. We didn't have any milk for our baby. I was just praying and asking God to show me how to get some milk." "Stop telling God how big your storm is. Instead, tell the storm how big your God is! " “Michael Richards gets interrupted by hecklers, unleashes a racist tirade, gets blasted by the cultural elite and apologizes. Mel Gibson gets drunk, unleashes an anti-Semitic tirade, gets blasted by the cultural elite and apologizes. Penn Jillette, without any provocation, unleashes an anti-Catholic tirade, gets a free pass from the cultural elite and never apologizes. 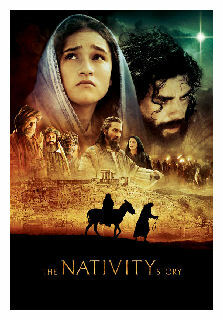 Thanks to my friend Easter and the sisters at Pauline Books and Media my family was fortunate to watch an early showing of the Nativity Story last evening. Since this movie has not officially opened yet, I will not say much on it. But rest assure, you will not be disappointed. It is a beautiful story to begin with but when a movie is dedicated to telling that portion of Jesus' life, words cannot describe the feelings you will experience as it unfolds before your eyes. The sisters did a wonderful job of presenting this movie to us. They also invited one of their sisters, Sr. Rose Oacatte who was present in Rome and watched one day of shooting, to speak to us after the movie. She has written a book on this story and if you click HERE, you can learn more about it. It was a genuine treat to hear the behind the scenes tidbits that Sister Rose shared with our group. She told us interesting little side stories of the actors, the director, producers, and I believe she was even an extra in one of the scenes. I hope you treat yourself and your family to this marvelous first Christmas experience. Mahalo nui loa Sisters and Easter! VATICAN CITY, NOV. 19, 2006 (Zenit.org).- Sacred art and music help man to open his heart to God, says Benedict XVI. This was the message the Pope gave to the organizers and musicians of the fifth international festival Pro Musica e Arte Sacra, which ended today in St. Peter's Basilica with Mozart's Coronation Mass, K. 317. The Mass was presided over by Cardinal Christoph Schönborn, and the Vienna Philharmonic Orchestra resounded the Austrian composer's notes, under the direction of Leopold Hager. Later, at the midday Angelus in St. Peter's Square, the Pope greeted the musicians to applaud the event and said: "The beauty and grandeur of the faith resound in spiritual music and sacred art." He added: "Music and art touch our senses and help us to open our spirit and heart to God and his Word." It isn't even Thanksgiving yet but the stores are bombarding us with secular Christmas music, decorations and of course SALES! SALES! SALES!! I am happy to note that other people, specifically bloggers, are speaking out against the commercialization of Christmas. Chris over at Domestic Vocations being one of the first that I noted. My family was supposed to write a Wish List for the gifts we wanted. Yesterday I decided that I would not be making such a list. I told them that I don't care what they bought me or made me, as long as it came from the heart, and given with love. I refuse to get us caught up in the "Holiday" frenzy where we fight to buy things and forget that Jesus is the reason for the season. The following article will also be helpful as we get ready to observe the season of Advent. The following activities are provided so that you and your family can live Advent and Christmas to the fullest. Advent wreath: The Advent wreath, which has German origins, is probably the most recognized Advent custom. It is a wreath made of evergreens that is bound to a circle of wire. It symbolizes the many years from Adam to Christ in which the world awaited its Redeemer; it also represents the years that we have awaited His second and final coming. The wreath holds four equally spaced candles, the three purple ones lit on the “penitential” Sundays and a pink one for Gaudete, the joyful third Sunday in Advent. There are many available prayers and hymns found in the reading list that can accompany your personal Advent wreath ceremony. The empty manger: Each child may have his own individual manger, or there may be one manger for the whole family. The idea is that when acts of service, sacrifice, or kindness are done in honor of Baby Jesus as a birthday present, the child receives a piece of straw to put into the manger. Then, on Christmas morning, “Baby Jesus” is placed in the manger. Encourage your children to make Jesus’ bed as “comfortable” as possible through their good deeds. In the process, explain Christ’s incomparable self-gift at Christmas and Easter that enables us to be part of God’s family. The Jesse tree: The Jesse tree tells about Christ’s ancestry through symbols and relates Scripture to salvation history, progressing from creation to the birth of Christ. The tree can be made on a poster board with the symbols glued on, or on an actual tree. For further information read, Advent and Christmas in a Catholic Home. St. Nicholas Day: The feast of St. Nicholas is on Dec. 6th. It is a highlight of the Advent season. Each child puts out a shoe the night before St. Nicholas Day in the hope that the kind bishop — with his miter, staff, and bag of gifts — will pay a visit. The current “Santa Claus” is modeled after St. Nicholas, but commercialism has tarnished the true story. Many families give gifts on both Dec. 6 and Christmas. Read about St. Nicholas in your favorite saints book. The Christ candle: Any large white candle can be used for the Christ candle. The idea is to decorate it with symbols for Christ. Use old Christmas cards, sequins, holly, etc. The candle can be lit on Christmas Eve to show that the Light of the World has arrived. Then continue to light the Christ candle throughout the year at Sunday dinner to remind your family of our waiting for Christ, as well as celebrating His birth and Resurrection. The Mary candle: Some families have the custom of decorating the Christ candle with a blue veil on December 8th, the Solemnity of the Immaculate Conception. On this great feast, others place a candle with a blue ribbon before a statue or picture of the Blessed Virgin, whose “yes” to God enabled our Lord’s coming at Christmas. The candle is lit during meal times to serve as a delightful reminder of Mary’s eager expectation of the “Light of the World.” It can also serve as a reminder to each family member to keep their own light of grace burning as a preparation for Christ’s coming. St. Lucy cakes: The feast of St. Lucy, virgin and martyr, is on December 13th. This marks the opening of the Christmas season in Sweden. Her life story can be found in most saints books, as can the recipe for the traditional cakes. The symbolism is rich and her life story worthwhile reading. Christmas baking: There are many recipe books available to find great traditional Christmas baking ideas. (See recommended reading below.) The baking usually starts around December 20th. As Christmas approaches, the house will smell of baking and fresh wreaths. The glory of Christmas is at hand! Move the manger to a focal point, add lights to the Nativity to be lighted on Christmas Eve, and anticipate together. Blessing of the tree: More and more frequently families are blessing their Christmas trees. It is good to remind children that “the tree” relates to many aspects of our faith. For example, we are reminded that our first parents were not allowed to eat from one tree, and that Christ paid the great price for our redemption by hanging on a tree (cf. Acts 5:29-32). 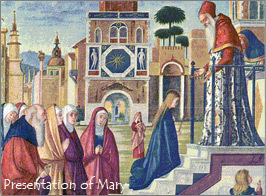 On November twenty-first the Church celebrates the Feast of the Presentation of the Blessed Virgin Mary. This feast finds its origins as early as the second century according to apocryphal source, the Protoevangelium or the book of James. This feast was already commemorated in the East by the sixth century. Pope Gregory XI heard of this feast being kept in Greece in 1372 and introduced it at Avigon. 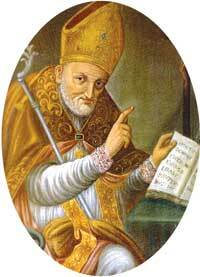 In 1585 Pope Sixtus extended to the universal Church. 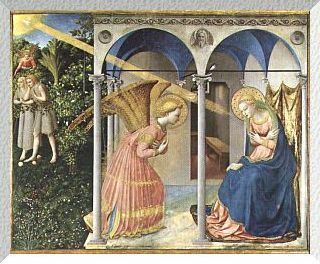 This feast refers to Our Lady's presentation at the temple in Jerusalem as a small child. When she was only three years old, the Blessed Virgin Mary was taken to the Temple in Jerusalem by her parents, St. Joachim and St. Anne. There she was taught, lived with other little girls and was cared for by pious women. 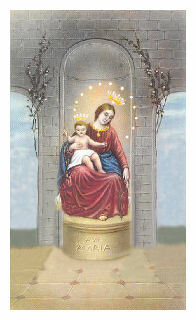 The Blessed Virgin was happy to begin serving God in the Temple. Even as a little Child Mary's life was centered on God. She studied the Sacred Scriptures and awaited and hope for the coming of the Messiah. On this feast of the Presentation of the Blessed Virgin Mary let us ask Our Lady to help us to consecrate ourselves entirely to God. The Rosary may seem like an insignificant thing in the light of the magnitude of the evils of today's world, but it is the weapon given to us by Our Lady. She merely asks our cooperation, and she will do the rest. It is like the slingshot of David that killed the mighty enemy because the power of God was behind it. Thus, as the saying goes, he who prays the Rosary has the power of God in his hand. Joan, the town gossip and supervisor of the town's morals recently accused George, a local man, of having a drinking problem because she observed his pickup truck outside the town's only bar one morning. George stared at her for a moment, and said nothing. Later that evening, he parked his pickup truck in front of her house and left it there all night. Why is it that most assumptions are wrong? Yet we too often act as if they are right! Years ago, a young American at a banquet found himself seated next to the eminent V. K. Wellington Koo, a Chinese diplomat. Completely at a loss as to what to say to someone from such a different culture, this young man ventured, "Likee soupee?" Mr. Koo smiled and nodded. Later when called upon to speak, Wellington Koo delivered an eloquent talk in exquisite English, sat down while the applause was still resounding, turned to the young man and smiled, "Likee speechee? His assumption about Mr. Koo was simply not true. Which is not unlike a husband who assumes he knows his wife's opinion on a matter, only to find out she thinks differently. Or a wife who assumes that her husband's silence means he is angry or disinterested, only to learn that he is worried about something else. Or an employee who assumes he knows that his boss is upset with him because she didn't praise his performance on a project, when she was merely preoccupied with another matter. Assumptions. We all make them. They're usually wrong and they too often get us into trouble. I like the advice of Eniong Hilario: "Things are better said than assumed." When in doubt, check it out. You think you know what was said? Check it out. You think you know what was meant? Check it out. You may think you know, but check it out. And when you do, be prepared to be surprised! 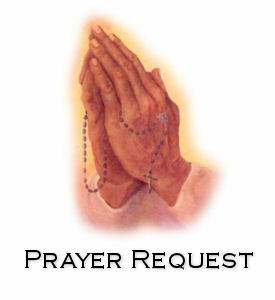 Please keep Lorrie and her dear family in your prayers. We have had several discussions with the doctor and have come to the conclusion to stop all treatments altogether. It just was not working in my body. Sadly this means I am now officially on hospice care. I am comfortable and not in much pain. My doctor said I would have one to six months; however, we agreed in reality it would be more like 1 to 2 months. Last week they didn’t think I would make it through the week-end. I have surprised them all. I still have my stubborn streak! My children are my biggest concern. They will be signed-up for private Christian school. Because we are in a small town, our school is really intimate. The kids have expressed some interest in school, but regret that by doing so it means mommy has passed away. Wow, that is so hard to say. Please pray for a smooth transition from homeschool to private school. I ask that the Lord cover them with His hands every day they are there. As for me, I ask for a peaceful passing. I love you Jesus, come quickly. Most of you are probably familiar with what are called the three theological virtues, i.e. Faith, Hope, and Charity. They are called theological because they focus on God. But there are also other virtues, called intellectual and moral. The moral virtues are classified as acquired and infused. So, for example, the infused moral virtues are Christian prudence, justice, fortitude, temperance, and those which accompany them, such as meekness and humility - humility being the basis of all of the virtues, even the theological virtues. But rather than explain what you should be able to find in most good Catholic Catechisms or other sources, with the 4th of July now just a few weeks away, it seems timely to focus on the Virtue of Patriotism, especially since many people probably do not even know that Patriotism is a virtue. When all is said and done, all people, most especially those who call themselves “Catholics”, should be able to recognize patriotism as a virtue, regardless in which country they live. Virtue is the opposite of vice. 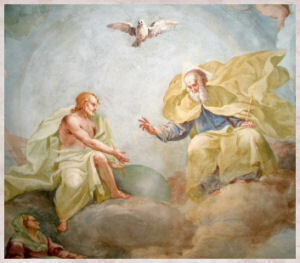 So, then, when one recognizes the fact that the division of men into different nations enters into the scheme of Providence, one automatically recognizes that it is part of the Holy Will of God that different nations exist because to each nation has been assigned a special task to accomplish in the working out of God's purposes according to the above source. But how is the geographical territory of a particular nation/country delineated, defended, and secured and made distinct from contiguous other nations? By borders. But remember that the citizen should have a reasonable esteem and love for his country - in other words, the citizen should practice the Virtue of Patriotism. By the same taken, one who fails to practice the Virtue of Patriotism (faithfulness), automatically practices the vice of faithlessness for his country which is sinful. This explains why such faithlessness identifies such a person as a traitor, despite all of the pagan secular humanist sophisms to the contrary! If the citizens of any country or nation find themselves ruled by a tyrannical government, then it is within the Virtue of Patriotism for that country that its citizens exercise the true Virtue of Patriotism by trying to organize themselves in order to replace such a government, preferably by peaceful means if at all possible. John Bosco's Mother Is Decreed "Venerable"
VATICAN CITY, NOV. 16, 2006 (Zenit.org).- The prefect of the Congregation for Saints' Causes read a decree recognizing the heroic virtues of Margaret Occhiena, mother of St. John Bosco, as well as her reputation for holiness. Cardinal José Saraiva Martins read the decree Wednesday in the chapel of the Salesian community in the Vatican. On hand were the rector major of the Salesians, Father Pascual Chávez; the postulator general, Father Enrico dal Cóvolo; the prefect of the Apostolic Vatican Library, Father Raffaele Farina; the director general of the Vatican Press, Father Elio Torrigiani; and the members of the religious community. After the reading, Vatican Secretary of State Cardinal Tarcisio Bertone came to offer his greetings and his blessing. The Congregation for Saints' Causes, at the invitation of Benedict XVI, promulgated the decree Oct. 23. At the end of the brief ceremony the rector major, Father Chávez, said: "This is a memorable day for the Salesian family which sees Mama Margaret take a further step toward the altars. "It is an event the whole Salesian world has been waiting for and for which it has been preparing with many initiatives in honor of the mama of Don Bosco. We entrust ourselves to her so that she may intercede for the whole Salesian family and for the congregation as it prepares to celebrate the 26th General Chapter in 2008." Margaret Occhiena was born on April 10, 1788, in Caprigli, Italy. She lived at home until she married Francis Bosco. Later she moved to Becchi. After her husband's premature death, Margaret, 29, had to raise her family alone at a time of starvation. She took care of her husband's mother and of the latter's son Anthony, while educating her own sons, Joseph and John. 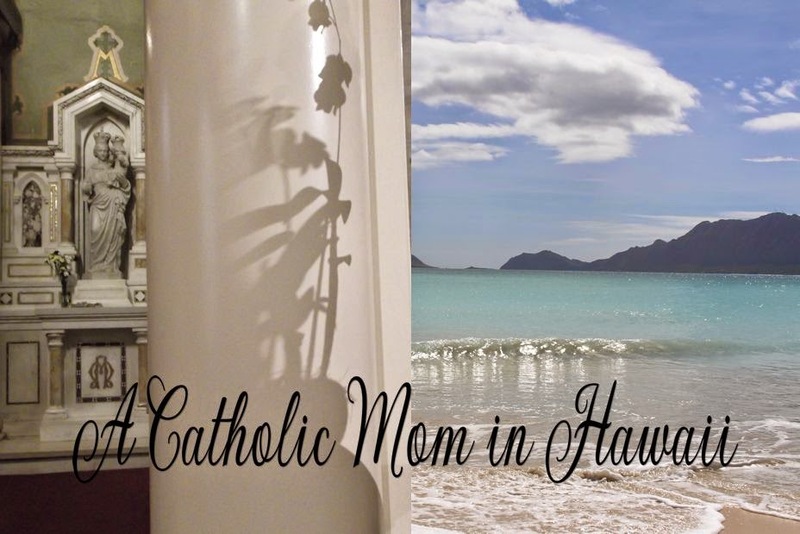 She supported her son John in his journey toward the priesthood. 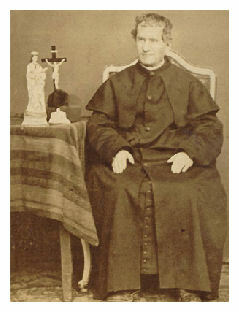 At age 58, she left her little house of Colle and followed her son in his mission among the poor and abandoned boys of Turin. There, for 10 years, mother and son united their lives in the beginnings of the Salesian Work. 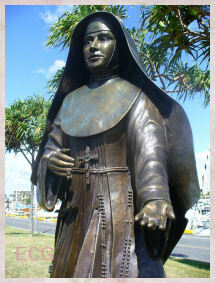 She was Don Bosco's first and principal cooperator. She contributed her maternal presence to the Preventive System. Thus she became the "co-founder" of the Salesian family. Margaret was illiterate but full of a wisdom that helped so many street boys. "For her, God was first, so she consumed her life in the service of God, in poverty, prayer and sacrifice," explains a biography issued by the Salesians. She died on Nov. 25, 1856, in Turin at age 68. A throng of boys, who wept for her as for a mother, accompanied her remains to the cemetery. ROME, NOV. 14, 2006 (Zenit.org).- Answered by Father Edward McNamara, professor of liturgy at the Regina Apostolorum university. A: Our correspondent also laid out a scheme of what he believed should be omitted in this case. I will use the scheme although modifying some details. Although this might appear to be a rather obscure point, nothing in liturgy is so obscure that liturgists cannot find points to disagree on -- and this is no exception. Therefore some of what I say is just my personal opinion based on what I believe to be an adequate interpretation of the law. The most difficult aspect to interpret regards what is encompassed under the Latin term "Monitionis." The English translation of this term as "introductory or explanatory remarks" may give rise to a very broad interpretation. Other languages have generally preferred to keep the technical term "monitions," which may be more restrictive. Either way, neither the original Latin rubric nor the translations are really that helpful in resolving our query. As far as I know there is no official interpretation from the Holy See. Before entering into detail I wish to mention that some priests believe that this form of Mass with no faithful present is now forbidden. This is not the case. Indeed, present canon law, by requiring a just cause for celebrating alone, and no longer a grave cause as did the 1917 code, has actually made it easier to celebrate such a Mass even though it should always be seen as an exception and to be avoided whenever possible. All the same, many priests have on some occasion been faced with the choice of celebrating alone, or not celebrating. Both canon law and the law of grace recommend celebrating Mass as the better thing to do. The basic model to be followed would be the rite of Mass with only one minister present, omitting whatever would be directed toward this minister as well as the gestures of turning toward the minister for these greetings. 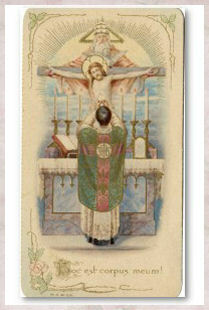 -- After kissing the altar he recites the entrance antiphon and makes the sign of the cross. -- He omits the greeting at the beginning of Mass ("Dominus vobiscum") and the invitation at the beginning the penitential rite ("Fratres, agnoscamus ..."). The rest of the penitential rite is as normal. -- He recites the invitation to the orations ("Oremus"), for these are not just invitations directed to the people but invitations in which he himself is included. The same criterion is obeyed for the introduction to the Our Father which is not omitted. -- He includes the introduction to the readings and Gospel ("Lectio sancti …") but does omit the greeting of the people at the Gospel ("Dominus vobiscum"). 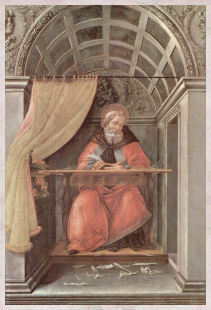 He includes the conclusion to the readings and Gospel ("Verbum Domini"). These are also for his benefit and not just greetings to the people. -- At the presentation of gifts he recites the prayers offering the bread and wine but omits the response "Blessed be God …." He also omits the "Pray Brethren" ("Orate, fratres") along with the response "May the Lord accept …." -- Unlike the other "Dominus vobiscum," I believe that the one which forms part of the initial protocol of the preface dialogue should always be said. The norms are clear that the Eucharistic Prayer must always be said integrally and that it retains its plural form even when the priest is alone. As this dialogue is inseparable from the Eucharistic Prayer it should always be recited. 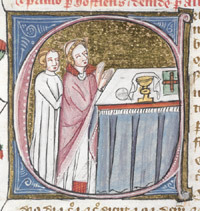 In support of this interpretation of the particular character of this "Dominus vobiscum" is the fact that even when Mass was generally celebrated toward the east, the rubrics did not ask the priest to turn toward the people at this moment as happened in almost every other case, but rather to look at the altar cross. -- Although the Eucharistic Prayer must be said in its entirety, the memorial acclamation ("Mysterium fidei") does not form part of the prayer. Therefore both introduction and acclamation are omitted. This rubric is explicitly stated in some orders for concelebration when only priests are present at the Mass. -- The giving of the peace ("Pax Domini sit semper ...") is omitted. -- The moment of showing the host is easily confused. In fact we have two prayers which are placed one beside the other. Here, the norm of No. 268 of the GIRM is followed: "If, however, the minister does not receive Communion, [or there is no minister] the priest, after genuflecting, takes the host and, facing the altar, says quietly the 'Domine, non sum dignus' (Lord, I am not worthy) and the 'Corpus Christi custodiat' (May the Body of Christ bring) and then receives the Body of Christ. 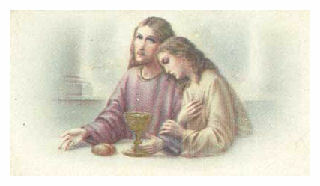 Then he takes the chalice and says quietly, 'Sanguis Christi custodiat' (May the Blood of Christ bring), and then consumes the Blood of Christ." 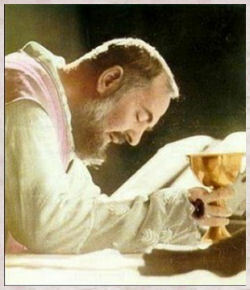 -- After holy Communion the priest recites the Communion antiphon before purifying the sacred vessels. 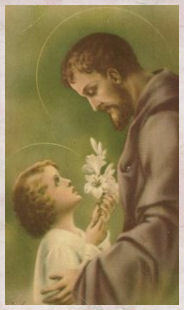 -- After a period of silent thanksgiving the priest says "Let us pray" and recites the prayer after Communion. -- Both the final blessing and the "Ite missa est" are omitted. Mass ends with the "Through Christ our Lord. Amen" of the closing prayer, followed by kissing the altar and either a bow toward the altar or a genuflection toward the tabernacle, as the case may be, before withdrawing. These gestures are considered as sufficient forms of conclusion. There is no need to add other gestures not foreseen in the ritual such as making the sign of the cross. Of course, this in no way excludes the recommendation that, immediately after Mass, the priest dedicates some moments to personal thanksgiving for the grace and privilege of having celebrated the Holy Sacrifice. "I have found using 'Quod a Nobis' more effective because the adherents to 'Quo Primum' argue that it is restricted to the Ordinary (either whole or from the Offertory to Last Gospel), or to the Temporale only (despite evidence in encyclicals like 'Grande Munus' to the contrary). Since the Psalter is the most fundamental part of the breviary, no such statement can be made with regard to 'Quod a Nobis.'" 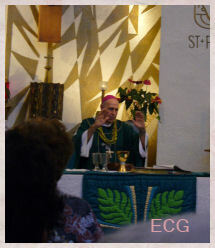 Readers may send questions to liturgy@zenit.org. Please put the word "Liturgy" in the subject field. The text should include your initials, your city and your state, province or country. The Trinity is beyond what we can understand in this life. We should take time for moments of silence. Life is a mystery; mystery is understood in silence. Silence is golden. Humility is the foundation of prayer. Humility starts with silence. We can move towards silence by spiritual reading, and by meditation. 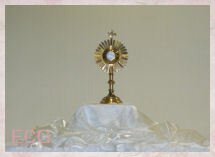 "Oh, what a heaven the Saints found on earth in their ardent devotion to the Most Blessed Sacrament! 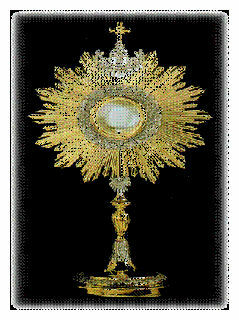 They indeed experienced that to none is Jesus so lavish of His sensible graces as to those who have a fervent devotion to the Blessed Sacrament. What sighs of love, what sweet tears and raptures, what floods of delight and consolation overwhelmed their souls when they celebrated or approached the Sacred Mysteries! . . . Oh, let us, too, foster a tender devotion to the Holy Eucharist; let us, too, seek this "Heaven on earth," in which the Saints found such supreme delight"
(The Blessed Sacrament: God With Us). Through the knowledge and fear of God which filled my soul, what gave me most pleasure in all my conversations with others was to speak of God. 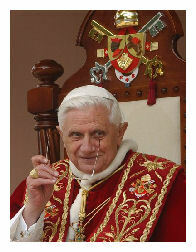 VATICAN CITY, NOV. 12, 2006 (Zenit.org).- Benedict XVI says the secularization of society can become a "providential challenge" for the Church to deepen and reinforce her faith. The Pope explained this Friday when receiving in audience the first group of German bishops, who are making their five-yearly visit to Rome. 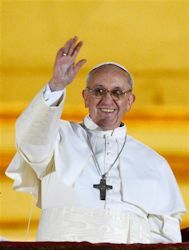 He had met the prelates in personal meetings in previous days. 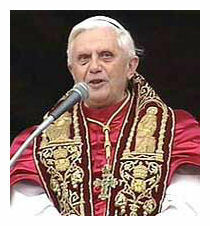 In his address, the Holy Father sketched a broad outline of the situation in the German Federal Republic that, in his view, "shares with the whole Western world the situation of a culture characterized by secularization, in which God tends to disappear ever more from public consciousness, the singular character of the person of Christ vanishes and the values forged by the tradition of the Church lose their efficacy." "Many are affected by discouragement and resignation, attitudes that hinder testimony of the liberating and salvific message of the Gospel of Christ," Benedict XVI observed. Many wonder if Christianity is no more than "a proposal of meaning" among the many others already existing, he said. "However, at the same time, given the fragility and ephemeral character of most of these proposals, they turn with an inquiring look full of hope to the Christian message and expect convincing answers from us," the Pope indicated. "I believe the Church in Germany must recognize, in such a clearly defined situation, a providential challenge and face it with courage. "We Christians must not be afraid of spiritual confrontation with a society that, behind the intellectual superiority it displays, conceals indecision in the face of questions about the ultimate meaning of life." The Pope assured: "The answers the Church draws from the Gospel of the 'Logos' who was made man, have demonstrated their accuracy in intellectual battles in the course of two millennia; they have a permanent value. "Reinforced by this awareness we can present with confidence proposals and answers to those who ask us for reasons for our hope." "This applies also to our relations with members of other religions, above all with the numerous Muslims living in Germany, whom we address with respect and kindness," the Holy Father continued. "Precisely they, who in the majority hold to their convictions and religious rites with great seriousness, have a right to our humble and firm testimony of Jesus Christ." However, "to offer this testimony with the force of conviction, clearly more concrete efforts are needed," the Pontiff told the German bishops. "In areas in which the Muslim population is more numerous, we should make available Catholics who serve as a point of contact, who have the linguistic knowledge and history of religions necessary to be able to dialogue with Muslims. "Such a dialogue clearly requires above all solid knowledge of one's faith." As disheartening as this news was, there is a glimmer of hope. Yesterday, my husband and I were two in a roomful Conservatives living on this island who had the privilege of attending a pro-life seminar. It was given by the Susan B. Anthony List and the Leadership Institute. Both are conservative organizations who work to train pro-life activists and candidates and teaching how to get these candidates elected, through a grassroots effort. It was a very interesting day filled with lots of information but very worthwhile to hear. And, you couldn't beat the location. The famous Ilikai Hotel in Waikiki. For fans of Hawaii 5-0, it is the building where you see Steve McGarrett standing on the roof in the opening credits. We were taught how to plan a campaign, to know our opposition, polling and survey research and developing our message, building coalitions, knowing our voters, fundraising, etc. The speakers were very experienced in this area. They worked on successful campaigns so they brought a wealth of information to share with our group. It was so great to see the Catholic homeschoolers representing homeschoolers at this seminar. Homeschoolers are recoginzed as an important group to approach for a coalition in the Pro-life cause. Homeschoolers are taken very seriously as an ally in the conservative causes. I only wish that more of our conservative politicians and unsuccessful candidates had attended. They would have learn an invaluable lesson and maybe would win the next time around. If you have the opportunity to attend one of these workshops/seminars, do it! Don't hestitate, just do it!